GC: It was taken at the Chadderton Baths, in 2008. It's part of a photographic project called "Absense of Water". HO: Are there any particular aspects about the shooting that you want to point out? GC: Not really. It was important to stay at 3/4 away from the deep end of the pool and make sure the camera - a Hasselblad 503CW - was well centered inside the tank. HO: How did this project start? 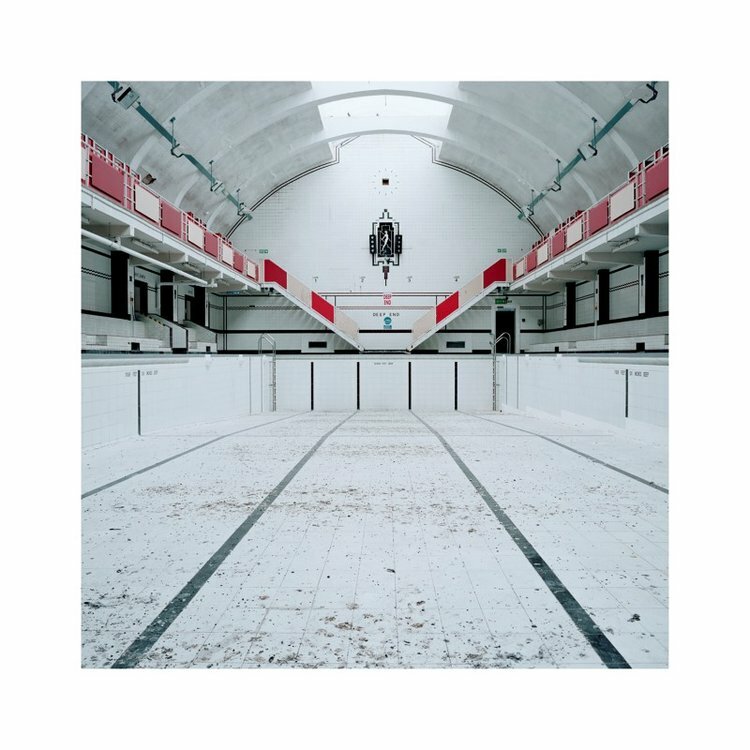 GC: I explored the first site Hornsey baths - now demolished - which was at few steps from my apartment. After that excursion, I started searching for others. HO: Why did you select this project? GC: I selected the Chadderton Baths for its beauty deco-style: the white tiles and clear lines made it one of my favorites. HO: Is there any peculiar story about this photograph? GC: There is a funny aspect about the permit to photograph these baths. In most cases, the Council rejected the initiative. So, I needed to plan a way to climb inside. In order to find the best access to the building, I would study the planimetry of it, and find myself in weird positions. For once, I did convince the builders to had the access to this particular bath just few hours before its demolition. HO: What is the most interesting thing about this photograph? What does it reflect? GC: I have always been interested in memories and in the disappearance of signs that would evoke and testify our history. Gigi Cifali is an Italian photographer based in Milan and London.